Learn your theory anywhere towards your boat driver’s license. With the boattheory App you will score a 100% result at the first attempt. The App boattheory.ch is self-explanatory and user-friendly – optimized for palmtops and Smartphones. You can temporarily store tricky questions to learn and handle later on. You will learn more than 500 exam questions for the boat theory exams cat. A-powerboats and cat D-sailing boats with the multiple response format. Each question is explained and can be recalled as much as wanted. The exam format is the same as you will have during the official exam at the Navigation Service. 60 questions are random selected and include topics such as definitions, weather, inshore waters legislation, signs and acustic signals, seemanship, ecc. Exam duration is 50 minutes. With more than 300 photos and illustrations out of actual practice, you will learn the theory rapidly and easily. 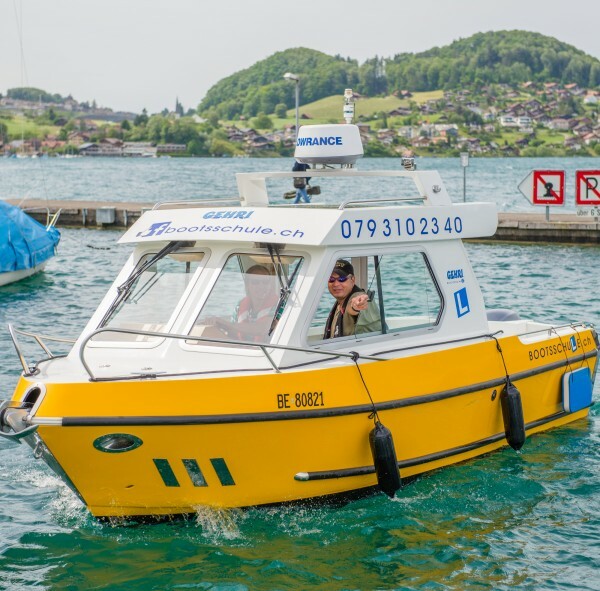 The App boattheory.ch was developped by Andreas Gehri, boating school, instructor and author of learning material, active owner of the homonymous boating school on the Lake of Thun. With more than 22 years of experience and daily practice with boat driver’s license candidates in both theory and actual practice, we provide the best possible tuition towards your knowledge , along with hints and advice from the professionals. We know first hand what challenges the future boat driver faces and offer you easy to understand explanations and according illustrations. My evaluation : easy to install, smart structure, practical multiple choice format – like at the official exam – and well memorizable, colour-coded red-green answers. Can recommend it. Luckily I had already passed the exam a couple of years ago. But utilizing the App I realized I had forgotten quite a lot and would not have passed the exam. Excellent to review it all to remain a safe boat driver. The overprized BoatDriver course made me prepare myself for the exam with your programs. Just passed the exam with a 60/60 score !